Indoor downlights also known as recessed ceiling lights are spotlights whose fixtures are fitted into the ceiling so that the light bulb and the bevel is flush with the ceiling itself. Just a few years ago Halogen indoor downlights were extremely popular. The popularity of these lights were due to the fact that the light fixtures recessed up into the ceiling with only the light bulb, it’s cover and the bevel ring showing making these lights perfect for any décor. However, halogen ceiling downlights had some serious disadvantages. For starters, these lights used a great deal of energy, which was not great for the pocketbook. Then of course these lights produced a great deal of heat, which if not installed properly were the cause of many house fires. LED indoor downlights use far less energy than halogen lights, resulting in savings on your energy bill. LED ceiling downlights don’t emit heat, which means that they are safer than those halogen lights so you don’t have to worry about your lights being a fire hazard. LED downlights require less maintenance with these lights lasting far longer than halogen lights you need to change them less often. LED recessed ceiling lights are better for the environment. Not only do LED lights not produce CO2 like halogen lights, which lowers air quality, the fact that you use less bulbs in the course of a year so that is less waste into landfills. Here at Ultra Beam Lighting we have a nice variety of high quality indoor downlights. 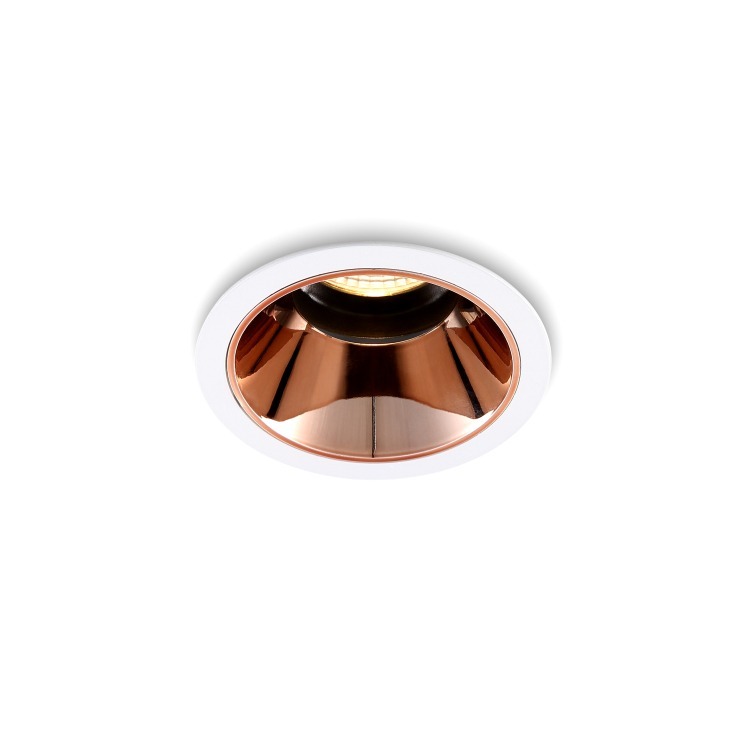 Our LED downlights are ultra modern and designed to go with any décor. Since we design all of our lighting fixtures ourselves our lights are unique. In addition, our LED Indoor downlights give you 20,000 hours of light before the bulbs need to be changed, which is 20 times more than other types of light bulbs. Our LED lighting will save you money on your energy bill as well as money spend on replacing those lightbulbs. Unlike many lighting companies whose lights are only good for residential use, our Indoor downlights are perfect for both residential and commercial use. Our downlights are suitable for stores, warehouses, hotels and others businesses. In fact some of best customers are popular hotel chains here in the UK. To view our LED recessed lighting why not a few minutes to browse our website and look at the high quality lights we have to offer. We are sure we have the right recessed ceiling lights suitable for your home or business. Should you have questions about our lights or wish to order our indoor downlights or other types of lighting fixtures just give us a call at 0800-678-5756 and we will be more than happy to fill your order or to answer any questions you may have. When installing downlight or any other type of lighting have your lights installed by a qualified electrician.